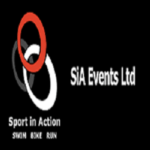 We are a Carlisle based multi sports events company. Our aim is to provide high quality, low cost events for all abilities. We want to develop events where we manage to keep competitors happy and returning year after year. Based in the Northern Lake District, we aim to develop a series of triathlons, duathlons, road races and sportives around the North of England and South West Scotland. Hopefully we will show off some hidden gems, utilising some existing routes and developing brand new ones.